There are some truly extravagant beaches around the coastline of L'Extrême Sud region of Corsica - including Palombaggia, Pinarellu, Rondinara, San Ciprianu and Santa Giulia. 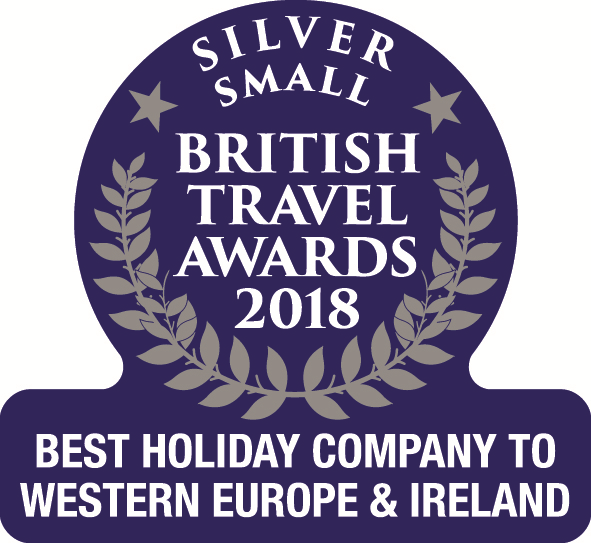 With some of the best and most accessible beaches on the island, Porto Vecchio has become Corsica's number one tourist region. Arguably the most famous beach on the island, the beach at Palombaggia is one of Corsica's finest and therefore one of its most popular. It was recently voted France's number one beach in the Tripadvisor Travellers' Choice 2016 and as such it can be very crowded in peak season - and it's easy to see why. An exquisite blend of fine white sand guarded by huge red granite rocks and fronted with gorgeous blue seas, and lined with beautiful pine trees. The access road may seem long and it can be crowded in high season, but at any other time of year is well worth a visit. Santa Giulia is another very popular beach and arguably the most photogenic of all the beaches in L'Extrême Sud, voted as France's eight best beach in the same Tripadvisor poll that awarded its neighbour, Palombaggia Beach, as the crowning beach in the country. It sits in a magnificent horseshoe bay with its shallow and translucent water making it the perfect swimming spot for the little ones. 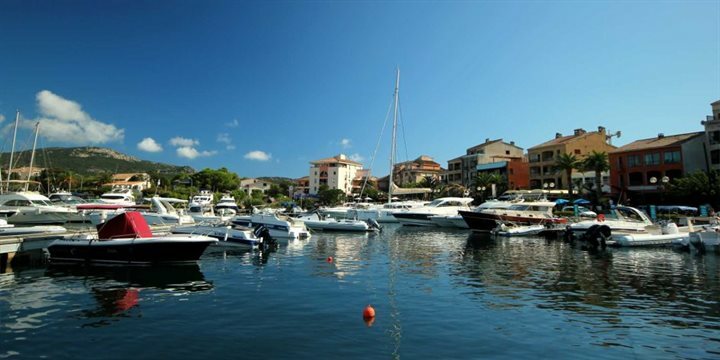 Around 10-15 minutes drive from Porto Vecchio, the beach has two access roads. The first road via Bocca dell'Oro offers spectacular views as you ascend to the Golfe de Santa Giulia. This will bring you to the northern part of the bay which is usually less busy. The second road, a little further south on the N198, brings you to the central part of the beach with car parking available alongside the pine trees that back onto the beach. 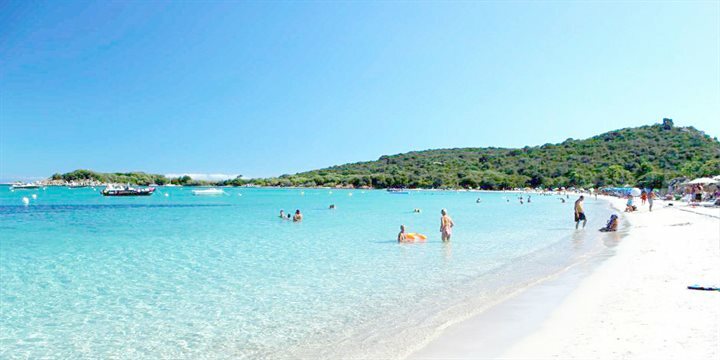 In contrast to Palombaggia it has pale yellow sand but it can be just as crowded as its more famous cousin. It has a good selection of shops and restaurants and it is also very popular with water sports enthusiasts. 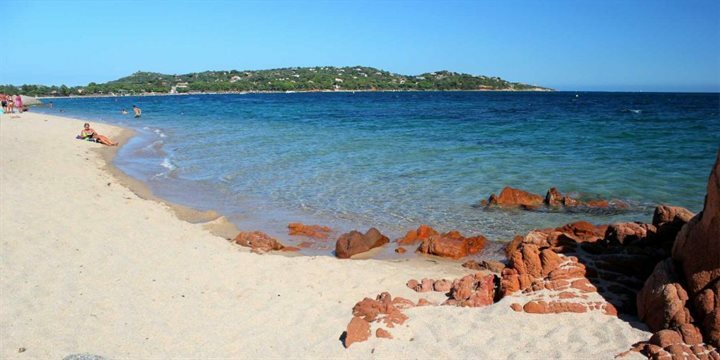 This exquisite bay situated 7km north of Porto Vecchio with its fine sweep of yellow sand is more than worth a visit. While you're there you can check out the near perfect Genoese tower which dominates the peninsula. It has a long sweep of soft white sand and is backed by a pine forest, ideal for any members of the party who need shade. If there is a breeze on the day you plan to visit it is well worth taking a body board with you to surf some of the breaking waves. That said the beach is also great for younger children as there is a nice wide stretch of warm shallow water too. Around a 10-minute drive north of Porto Vecchio, Cala Rossa is a picturesque beach with glistening turquoise waters and reddish sand. The beach is backed by a verdant hillside lined with prestigious villas and set against the beautiful backdrop of the mountainous Bavella Needles. On the main beach, there are two bars offering refreshments and sun loungers for hire as well as a sailing school and other water sports available. Around 15 minutes drive north of Porto Vecchio, San Ciprianu is a beautiful half moon of white sand and turquoise water. Parking is available on the approach road to the beach or if you are lucky there may be space available in the smallish car park about 50m from the beach. On arrival at the beach, turn left for the quieter section of the bay, where the sand is slightly less fine, but there are some areas where you can snorkel. Turning right on arrival and you will find finer sand, but inevitably a few more people. If you walk past the restaurants and sunbeds and beyond the red granite rocks at what seems to be the end of the bay, you will discover a second smaller and much quieter bay. There are a number of lovely beaches within reach of Bonifacio. Situated midway between Bonifacio and Porto Vecchio, Rondinara can be accessed off the N198 via the winding D158. This last stretch of road isn't the greatest to drive on but the reward is the alluring crescent shaped stretch of golden sand at Rondinara. There is a charge for parking although arrive after 6pm and it is free. It's not as busy as the more famous Santa Giulia or Palombaggia but it can be a little busy in peak season. It is very popular with families as it very safe for toddlers and the turquoise sea is almost impossible to resist. La Tonnara is situated at the end of the D358 road, just off the main road between Bonifacio and Figari. This nice sandy beach is often windy and offers excellent water sport facilities such as windsurfing, kite-surfing and jet-ski hire. There is also a small beach restaurant serving refreshments. Perfect white sand and clear water but the beach is only small so, again, it can be crowded in July and August. About 20km south of Sartène, and midway between Bonifacio and Sartène, turn off the main road by the Auberge de Coralli and follow the dirt track down. The track to the beach may be very rough so drive carefully. Above the beach is the 'Lion of Roccapina', a natural rock sculpture, crowned by an old Genoese watchtower erected at the start of the 16th century, in the first construction phase involving twenty five towers. The romantic legend about this rock form is that a powerful noble, feared by the Saracen pirates (who called him 'The Lion'), was in love with a beautiful young girl. When she refused his advances, from despair he died and was petrified in the form that you see today.